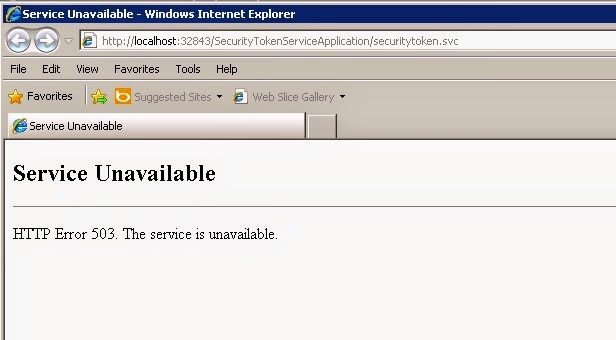 SharePoint PitStop: An exception occurred when trying to issue security token: The HTTP service located at http://localhost:32843/SecurityTokenServiceApplication/securitytoken.svc/actas is too busy. An exception occurred when trying to issue security token: The HTTP service located at http://localhost:32843/SecurityTokenServiceApplication/securitytoken.svc/actas is too busy. Identify the application pool for the Service Applications.